The Orwell Youth Prize is a registered charity, number 1156494, established on 2nd April 2014. It was originally conceived by people running the main Orwell Prize, Britain’s most prestigious prize for political writing. The Orwell Youth Prize remains under the auspices of the Orwell Foundation. After graduating from Oxford University, where she read Modern History, Elizabeth spent nineteen years in investment banking as a Managing Director with Chase Manhattan Bank and JP Morgan. Since 2002 Elizabeth has developed a portfolio of roles. These include joining the University of Oxford Said Business School as an Associate Fellow where her activities range from Industry Advisor for Finance to managing the University of Oxford Goldman Sachs 10,000 Women programmes China. 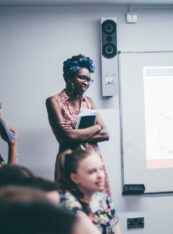 Roles outside Oxford that focus on women and entrepreneurship include designing the World Bank and IFC program for gender sensitivity in banks, as well hands-on teaching of women entrepreneurs in Lagos and Accra. In addition to chairing The Orwell Youth Prize, Elizabeth is currently also Chair of the Oxford Playhouse. She is a Trustee of The Orwell Foundation and of the youth charity SOFEA. 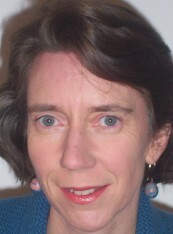 In 2011 she was appointed a Deputy Lieutenant of Oxfordshire. Stephen Armstrong is a journalist and author. 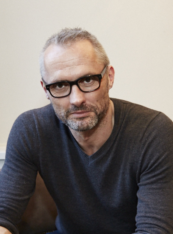 He writes extensively for the Sunday Times, the Daily Telegraph, Wired and the Guardian. He contributes to the Radio Times and Monocle and – occasionally – Radio 4. He has written five books: The White Island – a history of Ibiza; War plc – an investigation into the private security industry which inspired Ken Loach’s Route Irish; The Super Rich Shall Inherit the Earth – an account of the rise of oligarchs in the developing and developed world; The Road To Wigan Pier Revisited – uncovering hidden poverty in the UK; and The New Poverty – part of the Unreported Britain project. Stephen founded the Wigan Pier Workshops, is a founder member of Bug – the journalist collective behind the successful Modern Britain talks and events in aid of homeless charity the House of St Barnabas, and is an associate member of the Free Word Centre, which promotes and protects freedom of expression. Inevitably he has a screenplay in development, where he confidently expects it to remain. Mick is an English Teacher with 27 years’ experience, including many as an Advanced Skills Teacher and Subject Leader for English and Film. He has a Masters in English Studies from Goldsmiths College. As Delivery Director, Mick leads the Orwell Youth Prize workshops in schools up and down the country. 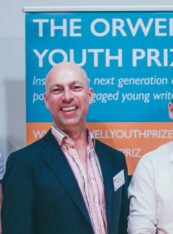 Peter is an Access Fellow of Pembroke College, University of Oxford, location of the Orwell Youth Prize Celebration Days and the end of each prize cycle. He is a lecturer in History, and has helped Pembroke College pioneer a new approach to widening participation in University education. Pembroke College was nominated for the 2013 Times Higher Education Award for Widening Participation or Outreach Initiative of the Year. Gavin is a researcher at the Institute for Government, where his work is focused on the data-driven Whitehall Monitor project. He was previously political adviser on Culture, Media and Sport to Harriet Harman MP. Before that, he was administrator and then deputy director of the Orwell Prize and senior researcher at the Media Standards Trust (2007-12). Gavin came up with the idea of an Orwell Youth Prize with the director of the Orwell Foundation, Jean Seaton. He holds an undergraduate degree in Modern History and Politics from the University of Oxford (2007) and a masters degree in the History of Political Thought and Intellectual History from UCL and Queen Mary, University of London (2012). Bill was brought up in a family of literary agents, studied English at Oxford, and having learned the trade from the other side of the fence as a publisher, joined A M Heath in 1982. Fostering the careers of novelists and non-fiction writers across the spectrum from the very literary to the very commercial, in a constantly changing marketplace, is a challenge of commercial ingenuity and client management. It has brought him close to the national media, into academe and alongside government, and to the heart of a global industry that is growing in unexpected directions all the time. He has represented Hilary Mantel from her first writing to her current position as the most celebrated contemporary British novelist. Rebecca is a reporter and writer living in London. Rebecca’s freelance work has been published by the Guardian, the New Statesman, the Washington Post, the New Internationalist, the Independent and others. She is currently writer in residence at Lacuna magazine, a Human Rights magazine based at the Centre for Human Rights in Practice at Warwick University, and a co-editor of Shine A Light, an investigative journalism platform publishing on openDemocracy.net. Andrew was a lawyer for most of his professional life and was a partner in a major City law firm. 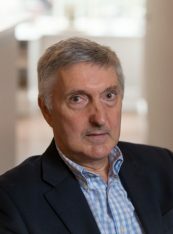 Having retired in 2007, he works part-time in the insurance industry as well as being a trustee of charities principally concerned with education. Until recently, he was a trustee of the Guildhall School Trust (which raises money for, and manages, the endowment funds for the Guildhall School of Music and Drama) and a member of its investment committee. He is currently also a trustee of the Mary Ward Settlement, a charity based in Central London which runs a college of further education and a law centre. Andrew has focused on education, and, in particular, access to it, because of the opportunities which become available to people who are enabled to take advantage of it. Richard Blair is George Orwell’s son. 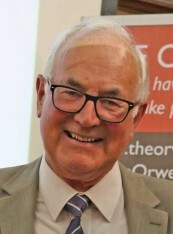 Richard is patron of The Orwell Society, a membership organisation open to all dedicated to promoting understanding and appreciation of the life and work of George Orwell, as well as a trustee of The Orwell Foundation. Sarah is a social entrepreneur, having spent over a decade founding and running businesses that have a positive impact on the community around them. She is also a freelance social impact consultant, working with businesses and organisations that want to better engage with the people they serve. Sarah is passionate about allowing the voices of people with lived experience of poverty to be heard and she has many years’ experience of working alongside disadvantaged communities. She has received over 30 awards for her work, including an honorary MBA from Leeds Beckett university for services to the City of Leeds, the Prime Minister’s Big Society Award and the Sunday Times Ethical Business of the Year Award.